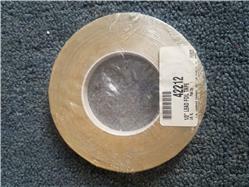 We have a limited supply of CRL Lead Foil Tape that is ideal for use in creating imitation diamond or square windows. The tape gives windows a distinctive "leaded" look. It is also good for decorative borders in leaded glass designs. Rolls are 108' (33 m) in length. 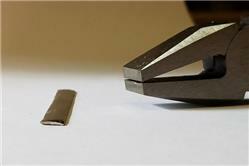 Tape is 5 mils (0.127 mm) thick. CRL Lead Foil Tape is ideal for use in creating imitation diamond or square windows. The tape gives windows a distinctive "leaded" look. It is also good for decorative borders in leaded glass designs. Rolls are 108' (33 m) in length. Tape is 5 mils (0.127 mm) thick.